providing medical services to the residents of Scugog Towship. when it comes to health care in Scugog. More than four decades after arriving in Port Perry to begin practicing medicine, Dr. William (Bill) Cohoon remains a strong advocate for Scugog Township’s present and future health care requirements. Although now retired from practicing medicine for five years, the popular 71 year old former doctor - now farmer, remains a force in influencing and protecting the excellent medical facilities within the community. Today, Port Perry has some of the finest medical facilites in the province, but this has not always been the case. There was a time, prior to the establishment of the Medical Associates group, when there were only three physicians to service the needs of the entire community. It was time for change and two men stepped up to the plate - Dr. Cohoon and his partner Dr. Ralph Price. Born in Long Branch, in Toronto’s west end, Bill was the son of a farming family. When Toronto began to grow the Cohoons decided to move and Bill’s father purchased a farm near Georgetown, where Bill attended high school. Farming was not the chosen life for young Bill, who had a keen interest in physics and chemistry. At that time he wanted to spend his life working in research, so he attended McMaster University in Hamilton in his chosen field. He later switched to medicine at the University of Toronto. Bill joined the cardiovascular team and became an intern at Toronto Western. It was during that time he met a nurse, who was teaching residents surgical techniques and procedures. Not only was Bill fascinated by the subject, but he also took an interest in the teacher and in 1967 Bill and Whitney were married. Bill’s chosen career was not without difficulty. In fact, when he was working in excess of 90 hours a week, he determined this was no way to raise a young family. Bill and Whitney decided to pack up and leave the big city - setting their sights on a small town, northeast of Toronto to practice family medicine. 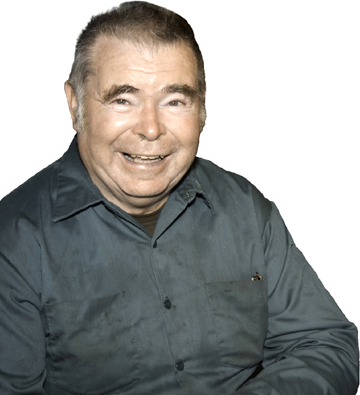 The move brought Bill back to the country and it seemed Port Perry was the perfect place to plant roots. Through the generosity of several prominent Port Perry residents: Ted Griffin, Joe Aldred, Storey Beare, Joe Dowson and Harry Phoenix, Bill was recruited to practice in Port Perry. Labour Day weekend of 1968, Bill and Whitney were able to open a practice in the front room of their North Street home. With the community growing it was decided that a medical arts facility was required, so Bill partnered with long-time friend Dr. Ralph Price to form Medical Associates of Port Perry. A new hospital for the town was almost completed by the time Dr. Cohoon and Dr. Price unveiled their plans for the building of a new medical clinic opposite the hospital on the south side of Paxton St.
At that time Drs. Stephen Kendall, Dr. John Diamond, Dr. George Rennie and Dr. Matthew B. Dymond were providing medical care from “The Medical Clinic” at 238 Queen St., the building Port Perry Dental Centre is located today. “I remember calling Bob Allin and telling him to come up here and work,” Bill said, as he reminisced. “Bob was worried that there would not be enough work.” He chuckled as he spoke. 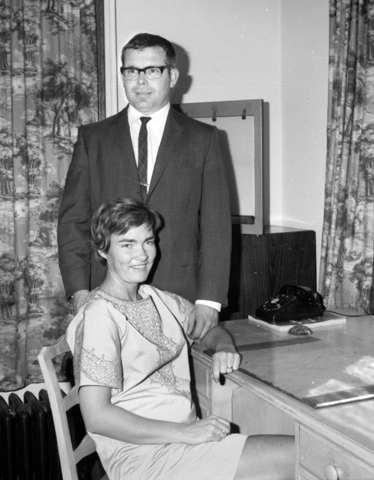 Bob came in 1969 and together with Ralph Price, the Port Perry Medical Associates was founded. “But those early days were fun,” Bill recalled. He smiled as he relayed the story of a puppy, Julie, they had just adopted and decided to have her spayed. Bill saw no reason to spend money and take up a vet’s time so he called his partner Bob and asked him to come over to help perform the minor surgery on the family pet. And when Bill realized they would have to resuscitate her, Dr. Bob Allin replied, “She’s your dog, I’m not giving her mouth to mouth.” Well, Bill did perform mouth to nose resuscitation and the dog regained consciousness. They rushed her to the veterinarian and Julie lived to a grand old age of 15. One of the many achievements of which Bill is proud of was the mentoring program, which he began in 1972. It was the same year Bill and Whitney purchased a farm just outside of Port Perry. The program, known as Rural Family Physician Education was and still is, operated by the U of T and was designed to give medical students experience and training as rural family physicians. The program was extremely successful, largely due to Bill devoting much of his time and energy to it. Three or four students would shadow the local doctors and ‘learn the ropes’. “They would learn things you could never get in a classroom,” Bill explained. Many of the residents who trained in Port Perry decided to stay in Scugog when they completed their studies. Drs. Gilmour, Tony Brown, Sue Shepherd, Amita Dayal, Mary Lee Brown, Mark Adams, Nancy Kazarian, Kim Ferguson, Martin Stewart, Fahim Ali, Kerri Best, Anne Kelly Armstrong and Rocco Lombardi are all enjoying successful careers in the area. Many others have practices in other areas of Durham. 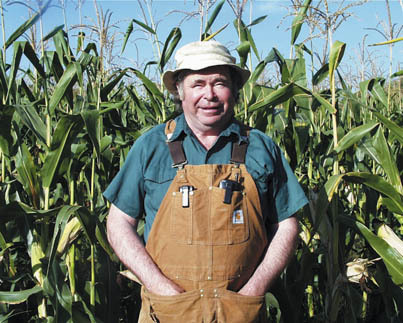 Aside from his love for farming, Bill has worked tirelessly for the community. He served as a director and president of the Scugog Chamber of Commerce, has been a long time member and past president of the Port Perry Agricultural Society and volunteered his time as co-chairman of the “Lighting the Way” fundraising campaign for the hospital. Along with co-chair Doug Brown, Bill and the committee raised more than four million dollars for the Port Perry Hospital. “I had raised money in the past, but nothing more than a few hundred dollars,” Bill explained. “This was a whole new ball game.” Suddenly I found myself in front of councillors, CEO’s of large companies and Presidents of huge organization such as Baagwating. And just last year Bill was honoured by being named to the Mayor’s Honour Roll. Now in his retirement, he enjoys time with his five children and 16 grandchildren. On the day of his last birthday he told all the grandchildren they could give him a haircut, something only Whitney was ever able to do properly in the past. The kids went to town and Bill ended up with an extremely fashionable brush cut. Retired life on the farm is good, although he gets up every morning at 6 a.m. and along with his son successfully works the farm. There are very few residents of Port Perry who are not familiar with Dr. Bill Cohoon or his achievements.